Sometimes you get busy and forget to get your sweetheart a gift. Maybe you are in a new relationship and didn't know what to get. Doesn't really matter because you can always order last minute Valentines Day flowers at any online store. With Valentine’s Day right around the corner, you may be wondering what to get for your sweetheart. One popular and traditional idea is, of course, a bouquet of flowers for Valentines Day. One of the most popular choices would be the traditional bouquet of red roses. 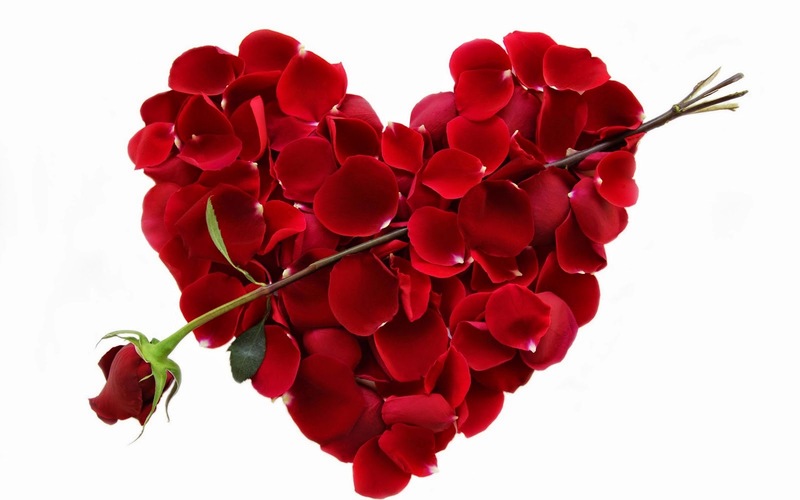 Universally considered a symbol of love and romance, it is estimated by the Society of American Florists that no less than 198 million roses are produced for Valentine’s Day alone. Red roses on Valentines Day aren’t the only big sellers; other colors of roses (pink, yellow, white and coral) are also among the most popular flowers bought on Valentine’s Day. The yellow rose is typically symbolic of friendship or platonic love so you might not want to pick those out for your significant other. The innocent white rose is a symbol of purity or spirituality, and they’re often used in weddings. Pink and coral can be symbolic of gratitude, but they also look very nice in a multi-colored rose bouquet. You can always pick up a variety of colored roses that are beautiful to look at and cover all your bases—love, friendship, gratitude, faith. Of course, roses aren’t for everyone. Carnations are an excellent—often more affordable—alternative to roses, and also very popular on Valentine’s Day. Carnations are available in a variety of colors, and there are also beautiful white carnations that have color only on the tips of the petals. Another popular choice is lilies, an elegant flower that is available in a myriad of Valentine’s Day appropriate colors, such as white, red, pink and orange. Finally, the simplistic tulip is another popular Valentine’s Day flower. While a simpler choice, the tulip is still thought to be beautiful and romantic and is thought to be associated with true love, particularly red tulips. Protected by the delicate petals, the tulip’s center is said to represent the passionate heart of a lover—what better flower to give your lover on Valentine’s Day. A rose is a classic Valentines Day Flower Gift and is a beautiful perennial with over 100 different species throughout the entire world. In general, most forms of roses mostly come from Asia but there are still a dew breeds that originate from northwest Africa, Europe, and North America. There is a long cultural history of the Rose being used to represent Love which is why it is such a popular option as a Valentines Day Gift. I have been an active Valentines Day gift giver for almost the last 10 years. While I may get accompanying gifts, I almost always end up getting roses as well, as of late I always so my online flower shopping for Valentines Day at ProFlowers. A little more history – In ancient Rome roses were used to identify if important matters were being handled behind closed doors by posting the roses on the doors. In Christianity, the Rose is associated with the Virgin Mary and the blood of Christ, but over time it has evolved to represent romantic love (roses and Valentines Day go hand in hand). The Rose is also England’s national flower which was supposedly introduced to England during the reign of Henry VII and has been used as a symbol of unity throughout the UK. A red rose being held in someone's hand is also used to represent social democracy and socialism, especially throughout western Europe. In modern cultures, each rose color represents something specific when giving flowers as gifts. Respect, passion, courage and sincere romantic love are represented by the red rose. Pink roses for Valentines Day are used to represent appreciation, gratitude and sometimes sympathy. The Yellow rose is used to symbolize joy, freedom, friendships and a promise of new beginnings. The White rose on Valentines Day is meant to represent purity, spiritual love and sometimes the simple message of “I miss you.” The beautiful and less common Lavender rose is meant to represent the idea of love at first sight or the emotions associated with new love. Lavender Roses for Valentines Day are becoming much more popular. The lovely orange rose is representative of fascination, desire, and enthusiasm, similar to the lavender rose but with a little less emphasis on love.